A dozen Catalan separatist leaders are on trial in Madrid over their roles in a failed independence bid that laid bare historical divisions and triggered Spain's biggest political crisis in decades. A dozen Catalan separatist leaders went on trial in Madrid on Tuesday over their roles in a failed independence bid that laid bare historical divisions and triggered Spain's biggest political crisis in decades. Flanked by hundreds of police, pro- and anti-separatist demonstrators gathered outside the Spanish Supreme Court, where the defendants face charges of rebellion, sedition and misuse of public funds. 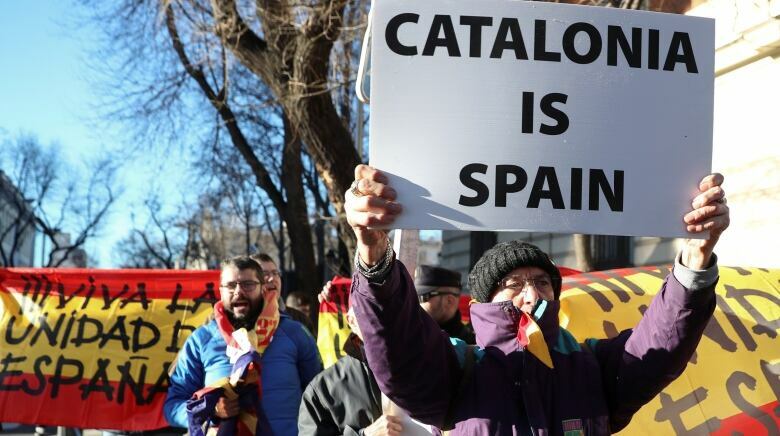 Their supporters carried signs reading "Freedom for political prisoners" while a small rival group shouted "Golpista" or "coup plotter," portraying the region's independence declaration of October 2017 as an attempt to dismantle the Spanish state. "They have the right to defend that idea. It [self-determination] is a synonym of peace, not of war," Andreu Van den Eyndehe told the court. The politically charged trial comes at a pivotal time for Spain's government, with a snap national election on the cards unless Catalan nationalist lawmakers support the 2019 budget in a vote scheduled for Wednesday. 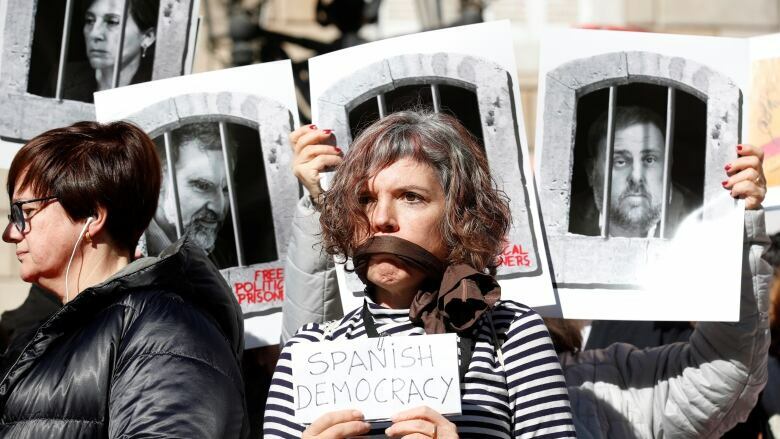 The case also exposes the workings of Spain's democracy — relatively young by western European standards — to their widest scrutiny since a failed coup in 1981. The independence bid, which ended by a televised intervention by King Juan Carlos, occurred three years after the current constitution was approved to complete a democratic transition that began in 1975 with dictator Francisco Franco's death. Supporters of the defendants, who face up to 25 years in prison if convicted, say they are political prisoners and the trial itself is political. The government says they are being judged solely in line with the rule of law. None of the 12 is scheduled to speak in the first day of the trial, which is dominated by procedural issues. Nine of them have been jailed without bail since late 2017 or early 2018. 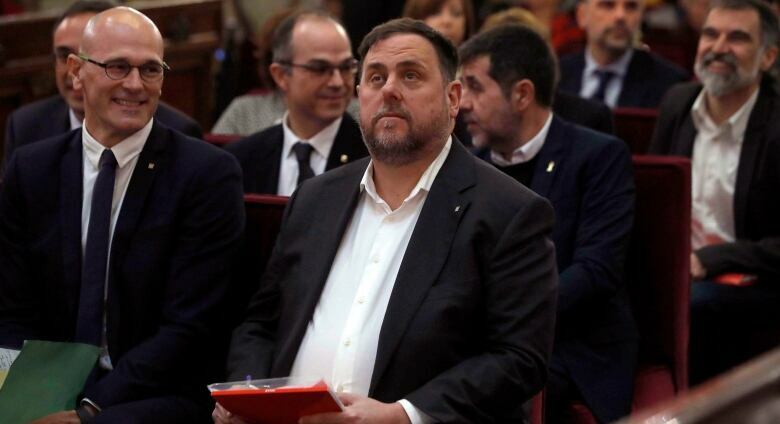 Meanwhile, seven other politicians involved in the independence declaration — including former leader Carles Puigdemont — are in self-imposed exile in different parts of Europe. In Berlin on Tuesday, Puigdemont said the trial marked a stress test for Spain's democracy. Olivier Peter, a lawyer for one of the accused, said the world was looking at authorities in Madrid. "What they want is not to judge but to condemn [for] political reasons," he told reporters on Monday. While declining to discuss any move toward Catalan independence, Socialist Prime Minister Pedro Sanchez has adopted a more conciliatory stance toward the secessionist movement than the conservative government that preceded him, and tried to establish dialogue. But so far, nationalist lawmakers from the wealthy northeastern region have said they will block the budget bill, citing Sanchez's refusal to include an independence option in the talks. In an early-morning tweet, Sanchez said he expected both the right and pro-independence lawmakers to vote against his budget. "They both want the same: A divided Catalonia and a divided Spain. We are working for a Catalonia in peace and a united Spain," he said. The trial is expected to last at least three months, with a final ruling being delivered in June or later.